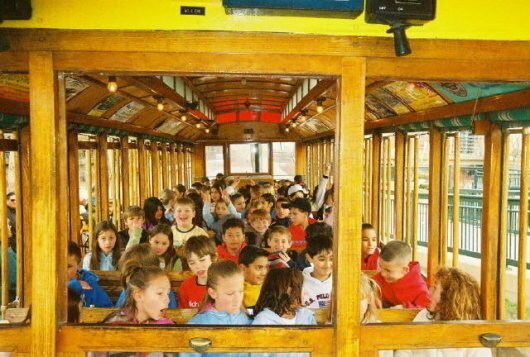 The Trolley is available for private charters for company outings, family reunions, picnics, birthday party rides, and other fun events. 30- to 60-minute excursions over the entire line (narration optional). The cost is $100 for the first 30 minutes plus $50 for an additional 30 minutes. Charters may be scheduled before 11:00 a.m. and after 5:30 p.m. Charters cannot conflict with the Trolley's regular operations schedule. For more information or to schedule a charter or a group reservation, please leave a message at 303-458-6255 or click here to send an e-mail. Please include your name, phone number, and the date and time you'd like to schedule your charter or group reservation. We'll respond within 24-hours. Note: The Trolley is a railcar that runs on tracks. It is not a rubber-wheeled trolley that can be driven on streets.